The HME 26-II models apply to the requirements of most demanding broadcast applications. The pre-polarized condenser microphone features brilliant acoustic performance for crystal clear audio transmission in highest broadcast quality and has an excellent feedback rejection. 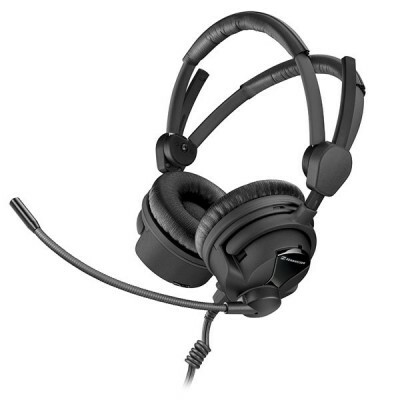 The closed, supra-aural headphones have a high maximum SPL and are equipped with the ActiveGard©. This limiter can be activated or deactivated.